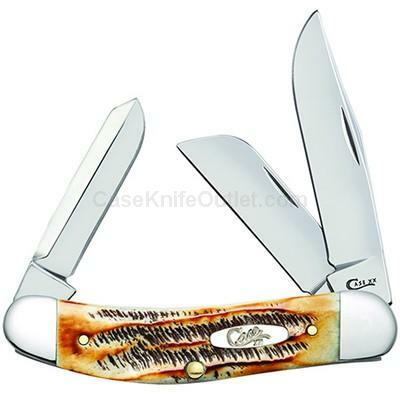 BEST OF BOTH WORLDS - Made to look beautifully worn, this genuine bone handle’s honey and amber tones are accented with special jigging — and hand-flamed — to look and feel like authentic stag antler. Each knife features Tru-Sharp™ surgical steel blades and the Case Oval Script Shield. Secondary ‘6.5’ blade tang stampings remind you these knives are extra special. Because we use hand-crafting and natural materials your knife may not look exactly as depicted. Made in the USA.